Steve Coleman, a professional crappie angler from Tiptonville, Tenn., shows off a crappie he caught while fishing a backwater off the Tennessee-Tombigbee Waterway near Columbus, Miss. 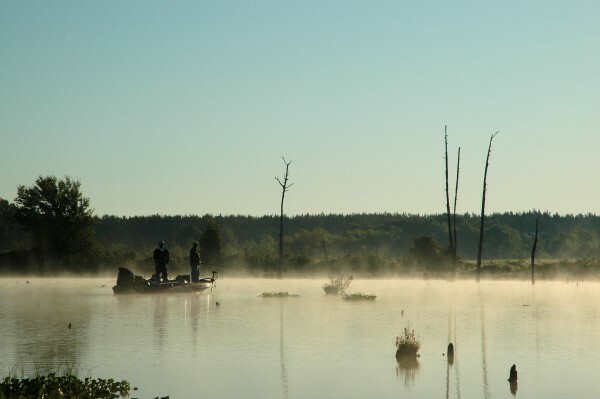 Built to shave off about 800 miles of boat travel from Middle America to the Gulf of Mexico, the Tennessee-Tombigbee Waterway created abundant fishing habitat as a bonus when it opened in 1985. More popularly known as the Tenn-Tom, the 234-mile system largely follows a straightened version of the old Tombigbee River as it creates a commercial water link from the Tennessee River, and thus the Ohio River, to the Gulf of Mexico. Along the way, 10 lock and dam structures divide the waterway into a chain of lakes with a total surface area of 44,000 acres. The channel also connects myriad waterways, ancient oxbow lakes, creeks and smaller tributaries. More known for its numbers, the entire Tenn-Tom produces many crappie in the 9- to 12-inch range and some bigger ones. 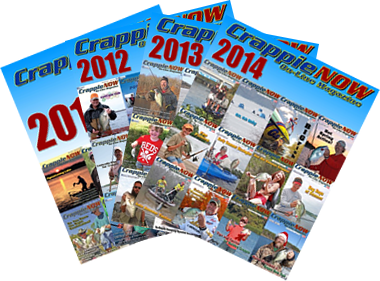 On a good day, two anglers might catch 50 to 100 crappie with many in the 1- to 1.5-pound range. Anglers must release anything measuring less than nine inches in length. The Tenn-Tom begins in Yellow Creek, which flows into Pickwick Lake near where the Mississippi, Tennessee and Alabama boundaries converge. The 29-mile-long Divide Cut connects Yellow Creek to Bay Springs Lake, which covers about 6,700 acres near Tishomingo, Miss. 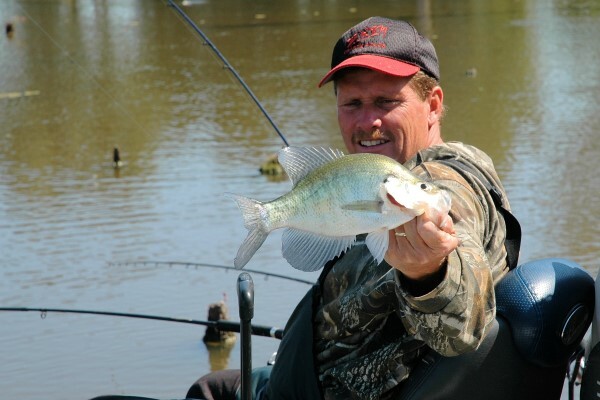 The best crappie fishing in the northern section of the waterway occurs in Bay Springs Lake. Ronnie Capps fights a crappie while his partner, Steve Coleman watches. Both professional crappie anglers from Tiptonville, Tenn., fish a backwater off the Tennessee-Tombigbee Waterway near Columbus, Miss. Below Bay Springs Lake, locks create five smaller pools in the Canal Section. Fulton Lock near Fulton, Miss., creates the largest lake in the Canal Section at 1,643 acres. The Amory Lock creates a 914-acre lake near Amory, Miss. The best crappie action in the Tenn-Tom system occurs in the lakes of the River Section. South of the Canal Section, Aberdeen Lake stretches across 4,121 acres north of Columbus, Miss. The riverine lake runs about 13.5 miles along the Tombigbee River channel. The next impoundment down, Columbus Lake spreads across 4,940 acres near the eponymous town. Major tributaries include Tibbee Creek, Catawba Creek, which runs into Tibbee Creek, Stinson Creek and the Buttahatchee River. Several old oxbow lakes created by the Tombigbee River and cut-off channels also provide additional places to fish. 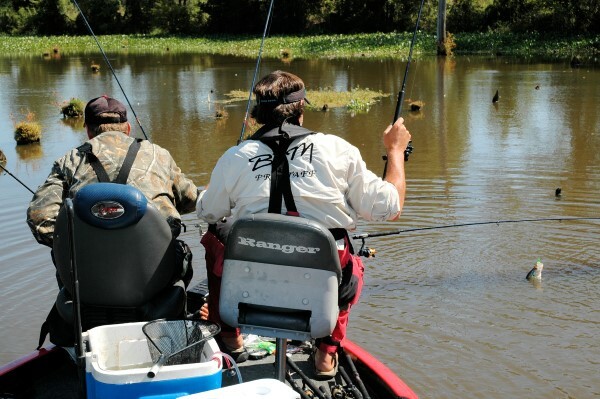 Anglers fish a backwater off the Tennessee-Tombigbee Waterway near Columbus, Miss. When the waterway flooded, it connected myriad channels and sloughs in the River Section. Rising water inundated swamps, creating numerous backwaters filled with lily pads, stumps, weed beds and other structure. Cypress trees grow in shallow waters. 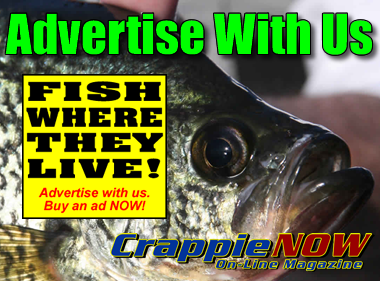 In the spring, crappie move up to the banks, around the stumps or near the grass. In these backwaters, many people fish live minnows under slip corks around structure. Drop the minnow as close to structure as possible. South of Columbus Lake, Aliceville Lake straddles the Mississippi-Alabama line. Also called Pickensville Lake, the largest lake on the Tenn-Tom system spreads across 8,300 acres near Pickensville, Ala. Major tributaries include James Creek, the Hairston Bend Cut-Off area, Pumpkin Creek and Coal Fire Creek. Several oxbow lakes and cut-off channels also provide additional places to fish. In the fall, most people fish with live minnows. Young threadfin shad two to three inches long create massive baitfish schools. With so much natural prey available, crappie don’t need to work hard to find breakfast and probably won’t hit a jig not tipped with live bait. 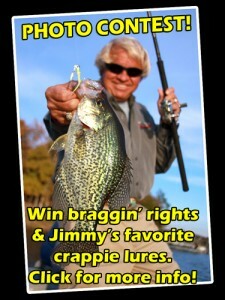 As water cools and natural prey becomes more scarce, crappie start hitting jigs and other artificial temptations again. 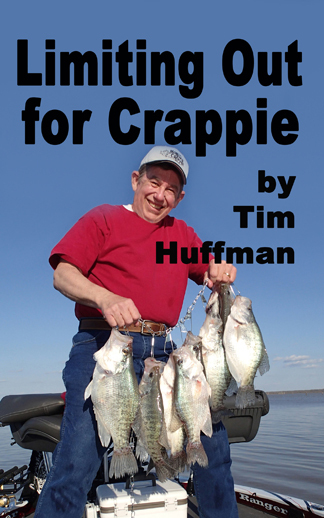 In the summer, crappie often go deep. In deeper water, many anglers troll double jig rigs or Road Runners, often tipped with minnows. Push the boat forward at about 0.5 to 1.5 miles per hour. Around shallow structure, many anglers fish spider rigs. In entangling cover, some anglers prefer to fish with single poles. Farther downstream, people also fish the 6,400-acre Gainesville Lake near where the Black Warrior River flows into the Tombigbee at Demopolis, Ala. The Tombigbee continues southward until it merges with the Alabama River at Mount Vernon, Ala. to create the Mobile River. The Mobile River flows into Mobile Bay near the city that bears its name. Throughout this network of rivers lakes and backwaters, anglers can enjoy outstanding fishing for crappie and many other species.